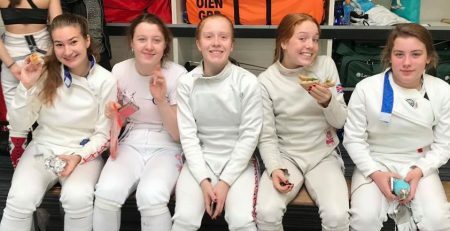 As the season dies down as we approach the new year, twelve of our fencers headed up to Manchester for the Elite Epee Events Weekend. 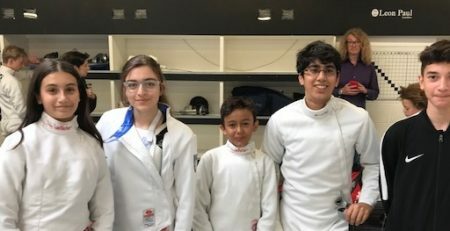 The team did not fail to deliver good results with Sameer, Tristan, Ed and Omari all winning medals in their respective junior categories. In addition, we also had lots of high final placements with Zina, Zehen and Zoya all making the last 8 round. 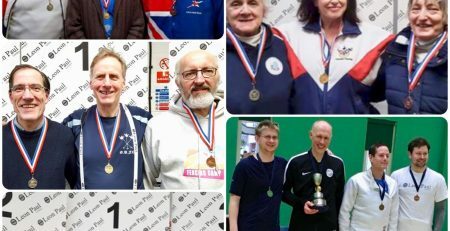 Leon Paul Epee are currently smashing it in the club medal standings with twelve more overall medals than the current runner up, Bath Sword Club. 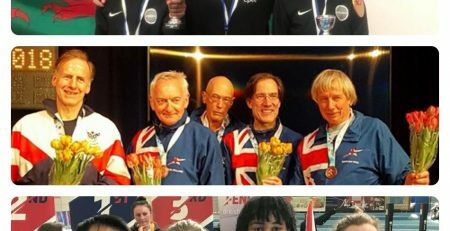 In the Senior Elite Epee Open, Boris Shu Ching Wong was the sole Leon Paul fencer in a field of 34. Boris secured two victories in the first poule round leading to him being seeded 22nd entering the DE’s. 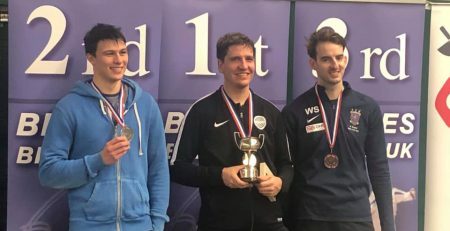 Boris had a bye through the table of 64 before knocking Chun Ho Jonathan Cheng out of the competition in a decisive 15-12 victory. Boris was then eliminated by Callum Sutherland in the round of 16. 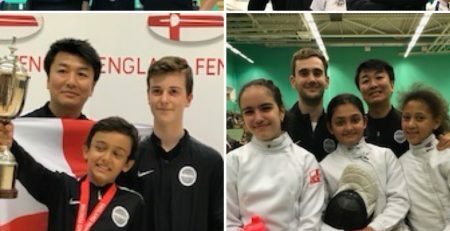 Leon Paul Epee success in Manchester was then followed up with even more podium finishes as Amelia Dudley and Florin Mirica won the Tonbridge School Open and Romanian National U16 championships respectively. 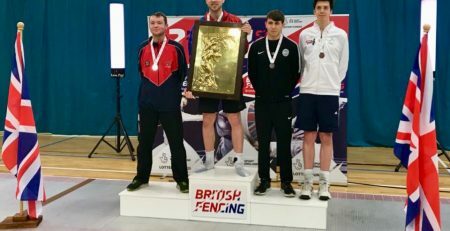 Closer to home, Pete Eames and Alexander Seale both medalled at the Civil Service National Epee Championships. 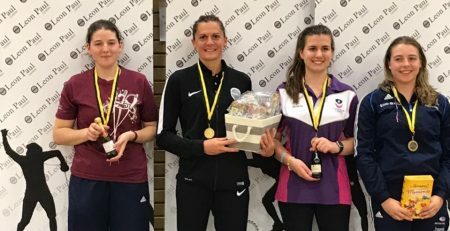 Congratulations to the medallists and to everyone that competed! Recently there have been some kind donations of second-hand equipment to the club. Any donations of old/ unwanted fencing kit can be made to the fencing centre office and would be appreciated. In March 2019 we will be shipping a load of this kit to Torun where a collection event will take place for the FIE charity which is devoted to providing fencing kit which is safe and in good condition to people who can’t afford their own in developing countries. 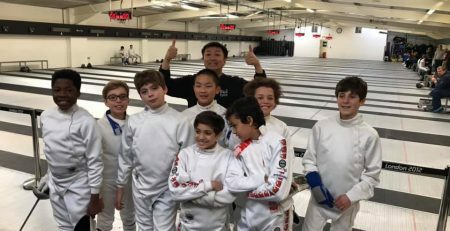 “In order for the fencing world to progress as a whole, solidarity between the strong and the weak is an undeniable requisite, whether it be between continents, federations or athletes. 3rd, Pete Eames. 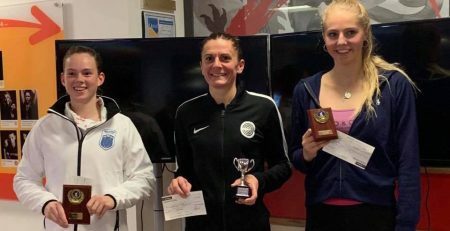 2nd, Alexander Seale.